This is part of the Destiny of Velious expansion preview. As with all other parts of the expansion preview, information was gathered during the beta testing phase, and last-minute changes are always a possibility. Note that this expansion contains content for level 85+ crafters. Since there is no level cap increase with this expansion, one might expect a scarcity of new recipes. However, between the class-specific recipe books, and the recipes obtained via questing, there are a reasonable number of new recipes to play with. Every primary crafting class has one buyable faction recipe book in Thurgadin. These books require 40,000 Forgemasters of Thurgadin faction, are level 90, and are heirloom. 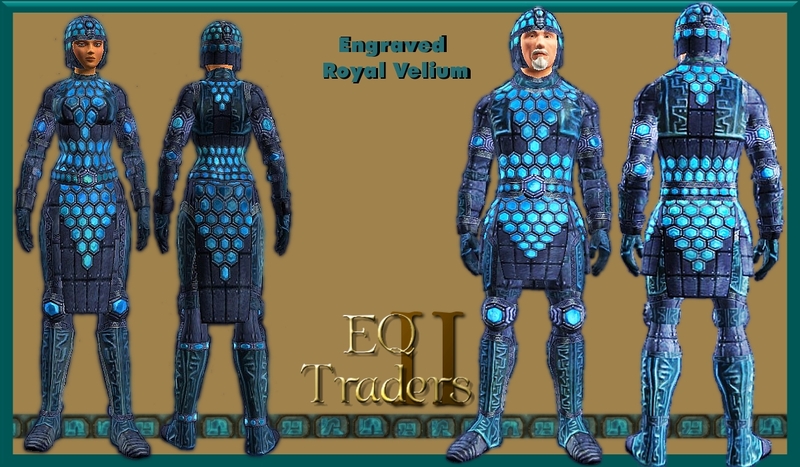 (Details on the questing for Forgemasters faction will be covered in the upcoming DoV quests writeup.) 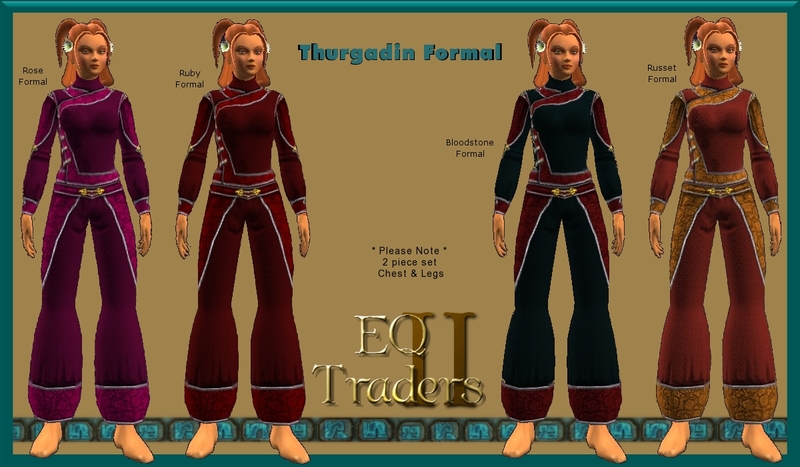 In addition, tailors and armorers can obtain a ground spawn recipe scroll for appearance gear once they have started the What Dreams May Come (Coldain Prayer Shawl HQ) quest. Adorners have no new recipes. Tinkerers have a small questline which includes a house item, but that will be covered in the quests writeup. While instancing in DoV, adventurers may find one of three specific dungeon drops (I understand that a fourth will be added down the road when Drunder becomes available, and that we will get recipes added when that goes in) that can be used to make a variety of gear items. These items will require the assistance of a crafter with the proper faction recipe, as well as some of those new Velious harvests mentioned in my DoV General Crafting Information writeup. Every crafting class gets faction recipes to make something from those dungeon drops. (The drops are: Globe of Coalescing Shadows, Frozen Shard of Magic, Bloodied Remnant of Rage.) Items created are heirloom, so when crafting for others, you will need to use the commission crafting system. At this time, we do not have recipes to craft the new Velious shard armor (though we will sometime in the future). What we do have, however, is a book at the 30K faction mark on the Forgemasters of Thurgadin vendor, for refining special dungeon-dropped gems that are used, along with the shards, to make specific pieces of shard armor. This book, Introduction to Coldain Gem Refining, is lore, no-trade, and requires that you be a level 90 crafter to scribe. You will also need to buy corundum powder(cost: 1 copper) from this vendor, for use in refining these gems. Alchemists have 12 recipes in their Forgemasters recipe book, to craft rings (3 for fighters, 3 for scouts, 3 for priests, 3 for mages) from the dungeon drops. Sages also get a dozen recipes in their Forgemasters recipe book for the dungeon drops, only they craft various etched/inscribed/runed neckpieces. Yep, you guessed it, their Forgemasters recipe book has recipes for those dungeon drops, but they get to make bracelets. Carpenters make a half-dozen symbol items for mages and priests from those dungeon drops. 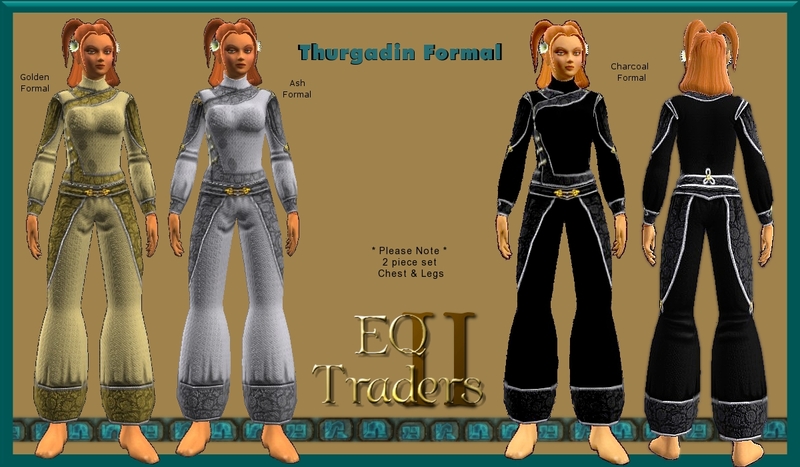 In addition, their Forgemasters recipe book contains bunch of furniture recipes using common T9 resources, and a couple tapestries requiring a DoV item. If you missed all that eye-candy, check out the DoV Carpenter Furniture article. Provisioners make charms from the dungeon drops - who wouldn't want to carry around a lucky snow bunny paw, after all? :D These level 90 charms have the white adornment slot, too, to make them even yummier! Woodworkers will make ranged items (bows, satchels) and shields from the dungeon drops. 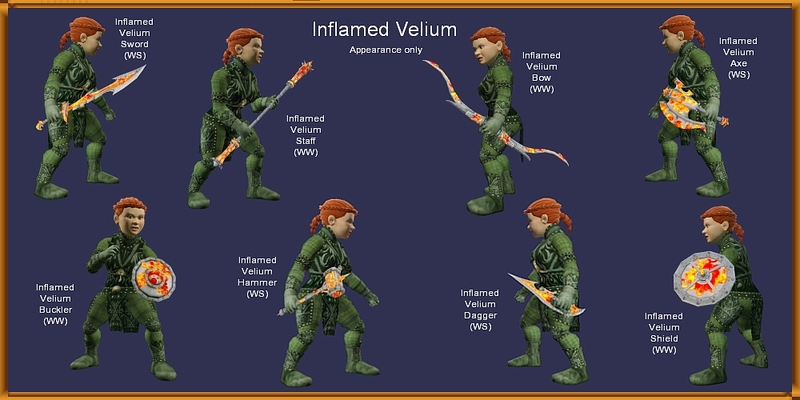 In addition, their Forgemasters recipe book contains recipes for 4 appearance items: inflamed velium buckler, longbow, shield and staff. Bring on the eye candy! 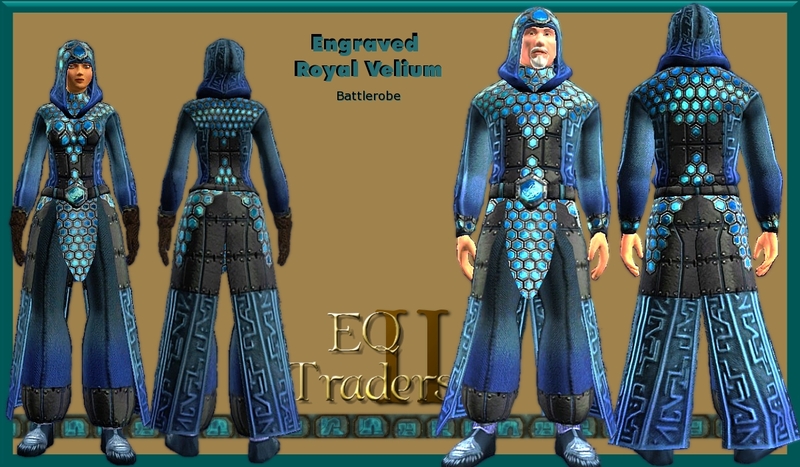 Forgemaster recipes for tailors are some neat-looking cloaks from the dungeon drops. These are functional cloaks, mind you, with adventuring stats - they just happen to look nice, too! The primary ingredient for these lovely sets is crystalline spiderling silk, which is, thankfully, tradeable. 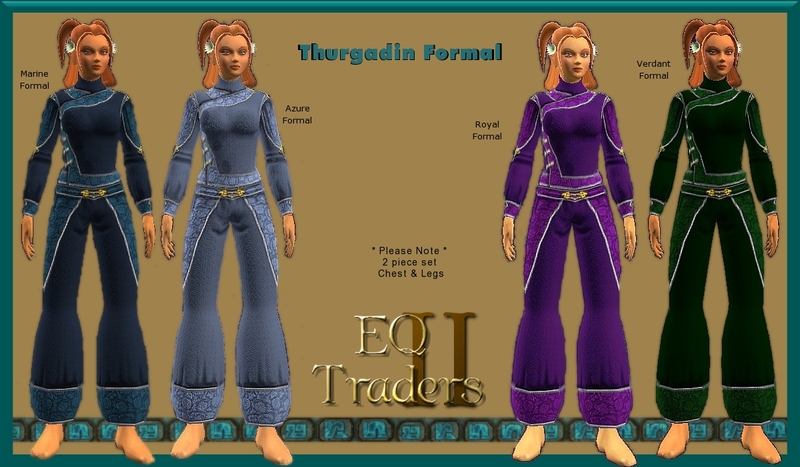 Crafters who have progressed past a certain stage in the crafter flying mount quest can collect 2 of these silk a day from Ktlk in the Goahmari village. You'll hear lots more mentions of this silk in various spots, as it is used in several quests and a few house items.